Nope. It’s not what you think. In case you haven’t noticed, i am not a happy camper when it comes to my choices for the next presidential election. My sports teams have defined in the tank (except for the Vols: yes, Vandy stalwarts, there remains a warm spot in my heart for what used to be the magnificent orange jersies, white numerals, high-top cleats, and the single-wing Vols, and when they are not playing the Commodores, i still root for them). Our traditional annual trip to the “Hardly Strictly Bluegrass Festival” in Golden Gate Park with our close friends Alan, Maren, and Eleanor Hicks, and now their son Alan Jr. as well, this time with a preceding stop in Concord with Maureen’s wonderful family Stefanie, Eric, Stefan, and Naomi possibly including Ann Minolti, Nikki, Mark, and Markie Knighton, was called off by me, who made a household executive decision because Maureen has not been feeling well. She is on the road to recovery, but i did not wish her to be miserable traveling. i would rather she be miserable with me at home. So i have been in a dark place. Since we weren’t in Concord or on our way to San Francisco, i made an oft-made, seldom-carried out effort to get back in my definition of good shape. i woke my usual early and decided to do a run/walk from our house. It was even before first light. i had climbed the initial hill and was up on the next road of this high desert mesa when i looked skyward to the southeast. Hanging low over the borderlands of Baja California was the waning crescent moon, a sliver of light cradling the darker orb. Directly above it was the morning bright Mercury, named after that wing-footed Greek god. i would have taken a photo with my iPhone, but i would have had to stop my pitiable jog, and maneuver the phone out of its holster, and most importantly, lose the song i had playing on iTunes, BB King singing “How Blue Can You Get?” So there is no picture of the moon rocking Mars. But there it was. In the dark before the dawn has not yet considered dawning. This old man in some semblance of himself shuffling toward what? Redemption? He, in his dark place, sure as hell didn’t know. Even BB King didn’t know, even though he had the right idea, and the old man is staring Mars, the ancient myth, rocking on the legs of the waning crescent moon over Baja, in the face. And in the quiet of the morning where the worlds collide, there was peace in the heavens. Stick it in your ear, politicians, money-grabbers, power brokers. i think the moon, Mars, and i are going to do just fine. i feel…well, i feel poltically disenfranchised. Johnson’s gaffe yesterday demonstrates to me he is greatly lacking in timely critical thinking, a capability i think is required of our president (and no, i’m not going to be lazy or attempt to be cool and in the know by using the acronym POTUS, yet another dumb aberration of our language). So now, i am looking at a wasteland. Trust, responsibility, cooperation, good judgement, and concern about others are only facades. Power, money, self-interest, rock throwing, influence, influence peddling, and lemming-like following are the drivers. Citizens are too interested in their own causes to even read or listen to the other side, except to pick what is said or written to death. Critical thinking is colored by one’s biases and prejudices across the board. i spent twenty-two years and more avoiding political involvement other than voting. As a member of the military, i understood that was part of my job. Apparently, especially among the higher ranked personnel, this is no longer the case. Now i am old and my pushing for political change sounds hollow and…well, old. i can only vote for presidential candidates i trust and platforms which make sense. Although the Libertarian platform is far more logical than the other three, it contains many items with which i do not agree. Except for that platform, all else in this upcoming election is shameful to me. i would like for us to finally have a woman president, but not this candidate. i strongly believe we should hold our presidential candidates to higher standards than everyone else, but right now, i don’t see any candidate being held to a higher standard, or any standard that might interfere with a party’s desire to win. Neither do i find any candidate or any party even faking trying to do what’s right. i was taught in elementary school communists believed the end justified the means, and our country, our government did not believe that and did not utilize unethical or illegal means to win. That is no longer the case, especially in our political system. i wish a check box for “i protest any of these candidates being elected” would be included on the ballot, but that will not be an option. Unless there is some major, major change in the next month, i cannot in good faith vote for any presidential candidate. My grandson Sam has an iPhone. If i remember correctly, he is close to the age we gave Sarah hers, although it was a long time before iPhones. i will not be a curmudgeon (for a moment) and make some dumbshit observation about walking to school in the snow without a cell phone when i was young. In fact, i think it’s a good thing he has one: it has a security aspect in that he can get in touch with his mother or father when he might be confronted with a problem. It also is giving him what has become an essential life skill, the capability to use a phone and electronics, the world of the cloud. It also gives me the ability to communicate with him at any time. We have “Facetimed” together once, on which i commented here several weeks ago. 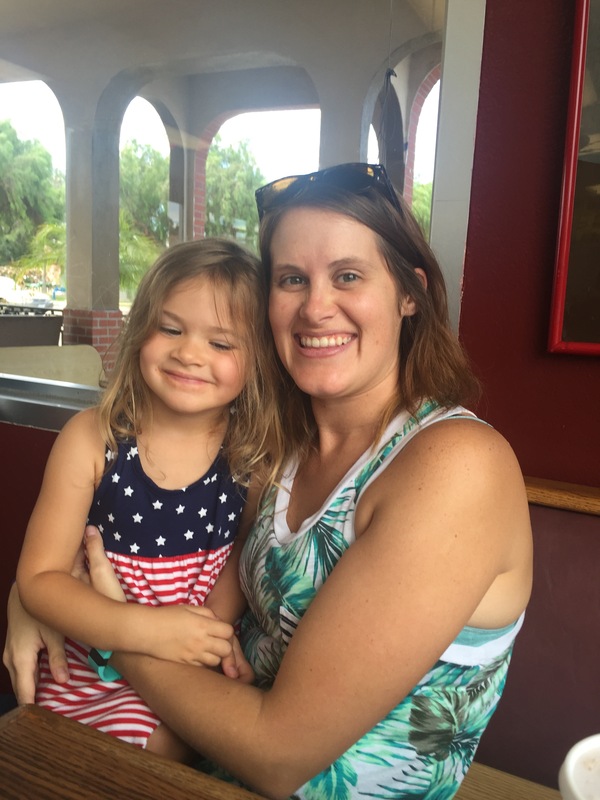 i have been trying to figure out what i could do when and what i shouldn’t do when when Blythe, my daughter, Sam’s mother, clued me in — i take some substantial “clueing in” a lot according to Blythe, my other daughter Sarah, and Maureen. There seems to be little cross over. “Kick ’em long” seems about the only one which might apply to soccer. But is that a good thing? Today, my father would have been 102. He said little to me in terms of how to live my life. I am pretty sure i only received about four letters from him my entire life. Later, he said very little on the phone, letting my mother do the talking. Everything he did, everything he said, and everything he wrote had a powerful impact on me. And boy, did we enjoy laughing together. 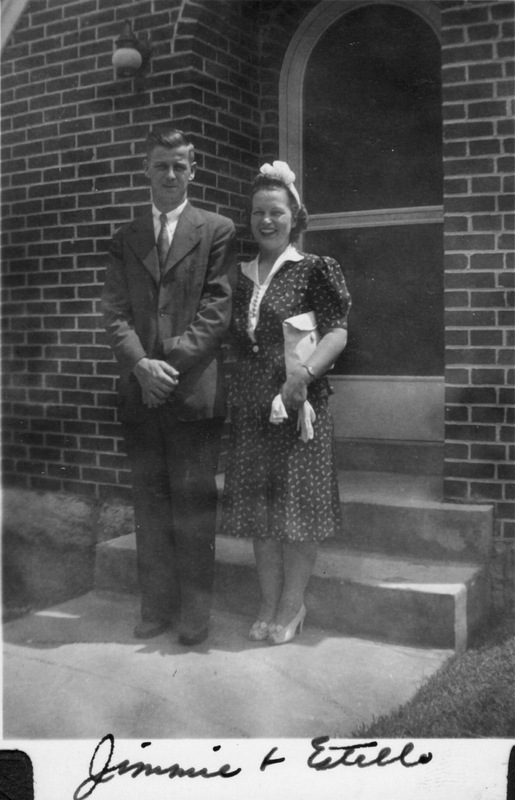 September 1943, about a year after they bought the house on Castle Heights Avenue. The caption was written by my Aunt Bettye Kate, her sister. i was about four months into making my debut. He had enlisted in the Seabees in August and would soon be on his way to boot camp and CB training.. And just look at those hands, even then. And i must say separating my thoughts about him from those about my mother is just flat impossible. i am one very lucky man. i miss him, but i also learned from him life moves on, and our task is to live it well, and do the right thing, regardless of the circumstances. So i will once again repeat one of favorite poems i wrote about him. with their history and the tales they tell. beyond what was suggested from his slight build. His hands are the delivery point of that strength. when he started in ’34 before computers and units). Bouganville, New Guinea, the Philippines. a map of history, the human kind. oh love, love, love, crazy love. His hands speak of him with pride. i can’t think of many things much better than an instant of today. i drove up to spend some way too infrequent time with Renee Hoskins and her daughter Kinsley. Renee served in the Marines, is now going to school full time with plans to get her masters in gerontology health and wellness (or something like that: Renee straighten me out if this is wrong), working, continually fighting the VA Bureaucracy to obtain her rightful benefits, and taking care of her daughter. She is nothing short of amazing. After several months of trying to get together again after a long layoff — Renee lives in Carlsbad, in the north, while we are almost to the border; her schedule, our schedule and the distance makes it difficult — we finally connected but even then, Maureen could not join us due to other commitments. 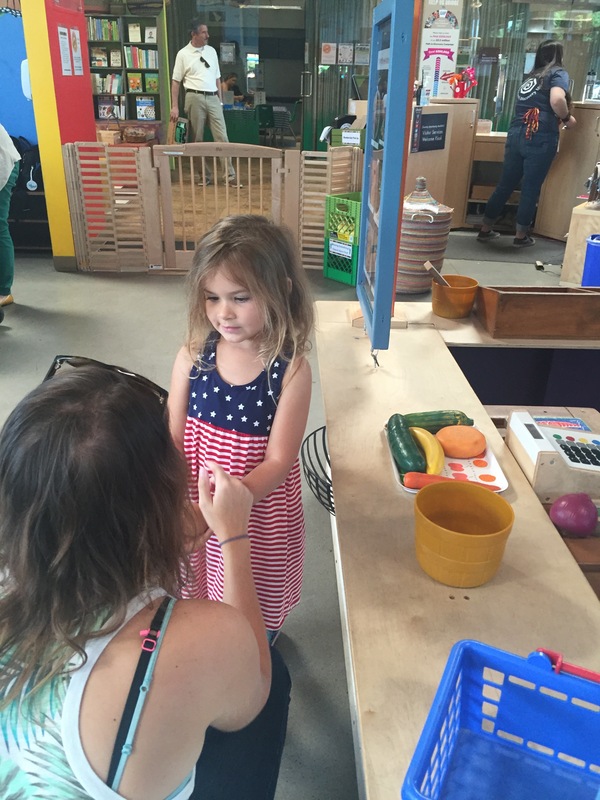 i drove to the Escondido, arriving at the Children’s Discovery Museum a bit late. Renee and Kinsley were waiting at the door. When i got out of the car, Kinsley jumped up and down, waved, and ran toward me yelling, “Uncle Jim, Uncle Jim.” She ran into my arms; i picked her up, and she gave me a hug around the neck. And folks, it just doesn’t get much better than that: a great feeling of joy flowing into an old man. We had a wonderful couple of hours at the museum and a quick lunch. Kinsley is a delightful, well-spoken, obedient, and energetic young girl. Her mother is caring, a strict parent who lets Kinsley grow and develop, and the love between those two is a beautiful thing to observe. In many ways, Renee reminds me of her grandmother, Nancy Orr Schwarze. Being with someone who resembles a cousin who is so close she is more like a sister can also make my day. It ain’t quite like being with my grandson, but it’s close. Boy, is it close. the first portable saw mill in those parts. in that very same steam-driven saw mill on someone’s farm. in the lone picture i have in the family book. while i listened to the tale. pulling his weight rousting the steam engine. on a farm in Donelson Uncle Jesse related. without any idea who they might be. had a good supper and pleasant conversation. folks a lot more trusting than they are nowadays. A.P. and Mama Maybelle would intone. just down the hill from the Ryman. but there was certainty it would. there was the expectancy it would. i am in the midst of changing some things, here and in my life. Here, i am dropping the title “A Pocket of Resistance” from the post headline. This is a category on my website. i have long thought it redundant, especially when i began providing the link to The Lebanon Democrat’s website and my Tuesday columns. These changes will take quite a while because i am old, slow, technically challenged, have fat fingers, and don’t retain how-to information like i used to do. But i am changing. It has occurred to me lately anyone who reads this probably knows why i call my stuff and me “A Pocket of Resistance.” Just to revisit, i will provide a long ago post on that later…if i can find it. A significant reason for these changes is i have rededicated myself to writing some books. JD Waits and i wrote a fun and i think useful book on leadership and management in the early 90’s. We called it “The Pretty Good Management Book.” Recently, JD called and asked if i still had an electronic copy. “Of course i do,” i replied and then couldn’t find it. We didn’t get much business. JD moved to Houston, then Raleigh, then Bastrop, working in Austin. i did a lot of other things that also didn’t make much money. i am now working leisurely on the book again. i’m also working on a short booklet, i wrote for my grandson. It was the precursor to my autobiography i am writing for Sam. Due to the distance between our homes and other factors, i don’t spend as much time with him as i would like to spend (like all of the time). Also since both of my grandfathers died before i was born and my parents never talked about them that much, i really don’t know what they were like, and i don’t want Sam to not know about me. So i continue this project, which likely will never be finished. i have no intention of publishing this one. It’s purely for Sam. But the booklet he has is about the rules i try to follow in living my life. Most are not new, but things i believe are most important. i borrowed many of my rules from others. The booklet gave a bit of explanation and history about each rule. i am thinking of making that available to other folks. My working title is Papa’s Pretty Good Rules for Living. Then, there is there is my experience on an Indian Ocean deployment as executive officer of one of the first ships with women as part of the crew, and the first to spend extended periods at sea with those women officers and crew. My working title is Steel Decks and Glass Ceilings. i continue to work on a children’s poetry book with illustrations by my daughter Sarah. Sam already has a copy of the manuscript. i call it Willie Nod and Some Such Things. There is another poetry book out there. And if i ever really get motivated, i might turn several unpublished short stories into a novel. Yesterday afternoon, i mopped the tile floors in our house because of some goofy things i did yesterday morning. Our house flooring is about fifty percent tile. It’s a fairly big house. It took a long time. i thought a lot. The sorting, scanning, throwing away, and organizing continues…endlessly. Then momentarily stopped as i ran into a pile of photographs from my last year in junior high. i longingly tried to remember every moment. The below is a partner to the photo that will accompany my column tomorrow in The Lebanon Democrat. 1958 was one of the best, if not the best, year of my life — of course, i didn’t know then. Lebanon Junior High was simply fantastic. i was a football and basketball co-captain with Jimmy Gamble and Clinton Matthews respectively. i was a co-star in the eighth grade play with Sarah (Sassy) Ward, and was the male lead with Martha Donnell as the female lead in the eighth grade operetta. i even made good grades, including a classic moment when Mrs. Purnell told me she could see by the look in my eye i finally understood the rudiments of algebra. Everyone was great friends. The teachers were kind and effective, and Mrs. Burton, a first-year principal was absolutely delightful. The beautiful Elaine Davis even wore my letter sweater. And yes, i really didn’t understand it was to be my pinnacle. Mind you, i ‘m not complaining. Life has been good, and even if i could change a few critical points, which might have contributed to making a little less money, not becoming a successful writer, or whatever, i wouldn’t change a thing: i have an incredibly beautiful, talented and loving wife, two spectacularly talented and capable daughters, and a grandson who continues to make my buttons burst with pride. So no, i’m not complaining. i wouldn’t change a thing. Back to the subject at hand, the below picture is the cast of the eighth grade play that wonderful year. Mrs. Burton, who ran the whole thing is appropriately in the middle of the photo. 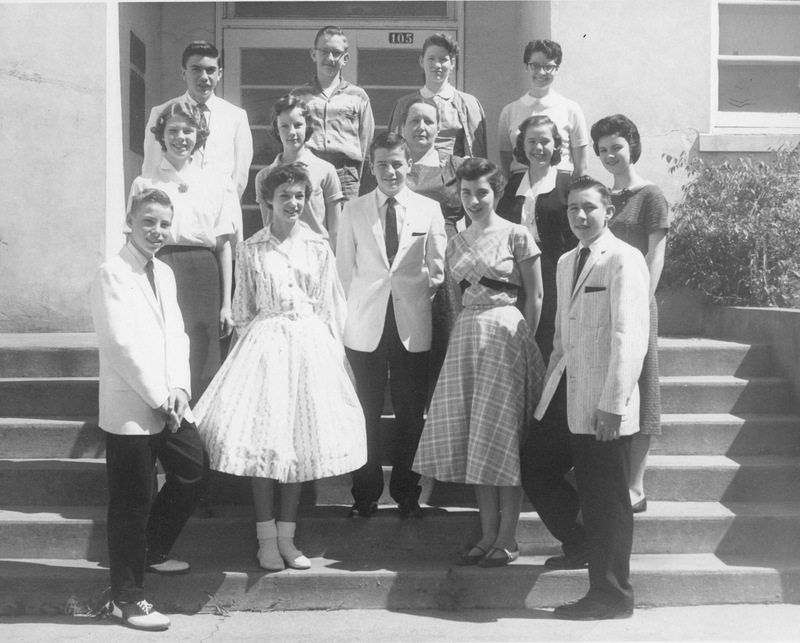 Front row (l/r): LeRoy Dowdy, Sassy Ward, the goofy guy, Sharry Baird, Clinton Matthews; Middle Row: Marcia Emmert, Beverly Hughes, Mrs. Burton, Elaine Davis, Laurene Smith; Top row: Henry Harding, Andy Berry, Mary Cardiff, and Brenda Hankins. A Pocket of Resistance: George had it right.